This three bedroom apartment has been styled with meticulous attention to detail. The sumptuous home includes a large kitchen and living area, which complements a lifestyle of tranquillity in such a unique location. 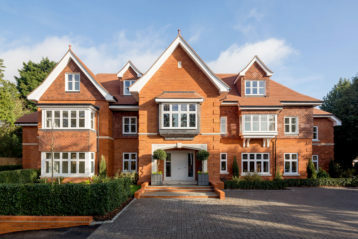 The Beechcrest development is situated in the quiet market town of Beaconsfield in Buckinghamshire. 10584mm x 7401mm 35'8" x 24'3"
7697mm x 4256mm 25'3" x 14'0"
4292mm x 3784mm 14'1" x 12'5"
4484mm x 3746mm 14'9" x 12'3"